A curated book of photographs from the collection of AJH "John" Goodwin (1900 - 1959), South African archaeologist. By Nick Shepherd, foreword by Pippa Skotnes. Part of the Series in Visual History by the Centre for Curating the Archive. Published by Jonathan Ball Publishers in May 2015. Online version by Niek de Greef. 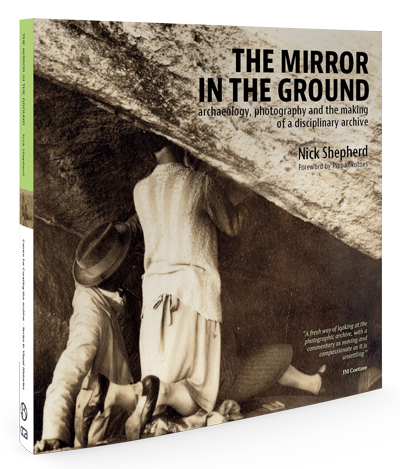 The Mirror in the Ground is a curated book of twelve short visual essays, drawing on photographs from the collection of John Goodwin, the South African archaeologist. Goodwin was a formative figure in the founding of South African (and African) archaeology. The collection relating to his life and work consists of manuscripts and typescripts, field notebooks, a voluminous correspondence, and so on. It also consists of thousands of photographic prints, negatives and glass plates. 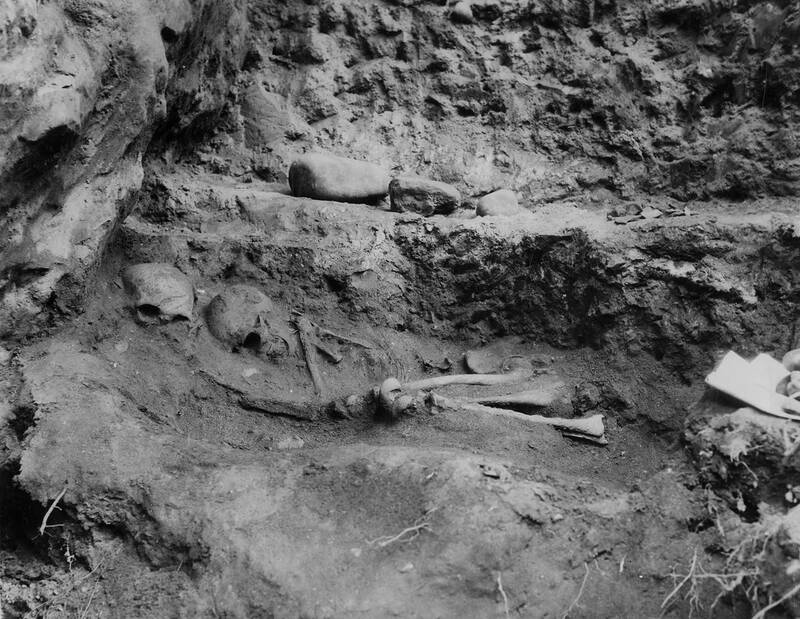 The photographs speak of a number of significant themes in the founding and "disciplining" of archaeology as a knowledge project in the first half of the twentieth century. These include the role of fieldwork and the emergence of a conception of the archaeological field, the role of so-called "native" labour in archaeology, the emergence of an enthusiastic amateur constituency, the evolution of fieldwork techniques, and so on. In examining the conjunction between archaeology and photography, I am particularly interested in the role of the visual imagination in the making of the discipline. More generally, I am interested in exploring what it means to approach intellectual history through the photographic image. What happens when we approach archaeology from the perspective of an interest in visualities? Does it make sense to talk about an archaeological aesthetics? What part has a specifically archaeological concern with material cultures, objectified bodies and sites on the landscape played in a local history of looking? The Mirror in the Ground begins with an introductory essay and ends with a conclusion, and each visual essay is prefaced by a short passage of text which contextualizes the images and draws out some of their themes. However, the emphasis is on the photographs themselves, many of which are strikingly evocative. Theorists of visual culture have frequently invoked the notion of the uncanny in describing the effect produced by photographs. In the case of archaeology, this is doubled by the uncanny nature of archaeological sites and contexts of work: the uneasy intimacy of the act of exhumation, the resonant presence of rock shelters and cave sites, and the complexly enfolding relationship between painted sites and their surrounding landscapes. 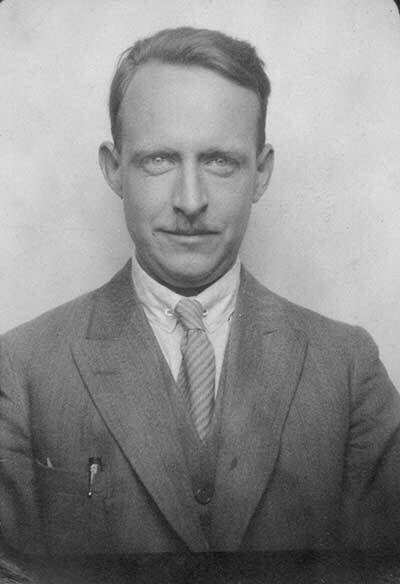 Theorists of visual culture have frequently invoked the notion of the uncanny in describing the effect produced by photographs. 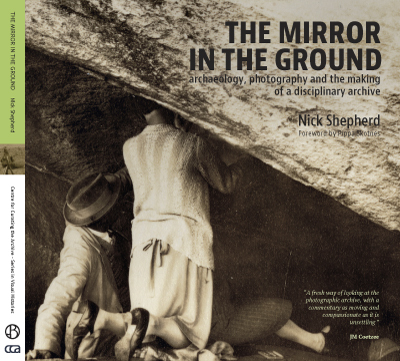 The Mirror in the Ground is based on a sustained research project spanning ten years, looking at histories of practice in South African archaeology. This has been extensively published in journal articles and book chapters. 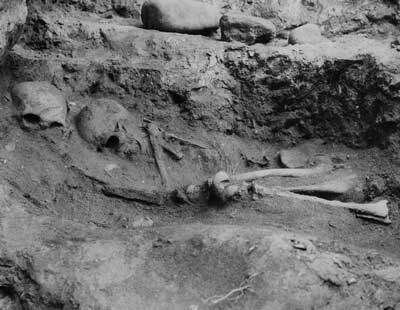 Missing from these conventional academic formats has been a sustained focus on the photographs themselves. In proposing a curated book, my idea is to find a format which allows me to approach the intellectual biography of a discipline through the primacy of the photographic image. I would argue that this is especially important in the case of archaeology, a discipline which is itself a material practice, where the performativity of the act of excavation brings us into a fully sensorially engaged appreciation of material worlds. Finally – it goes without saying – my aim is that the book should be visually appealing. Many of the photographs from the Goodwin Collection are enormously visually engaging: beautiful, mysterious, eloquent, and unfathomable.